Property crimes make up one of the largest categories of criminal charges in Pennsylvania and offer the widest variety of disposition options available to both the accused and his defense counsel. Ranging from crimes like Burglary and Extortion down to Defiant Trespass and Retail Theft, property crimes take a toll on the economic well-being of the community in which we live in. In most instances of theft, the most common of the property crimes, defense counsel working closely with the accused can reach a common ground with a prosecutor and often negotiate a plea bargain which not only addresses the concerns of the victim but also gives the accused an opportunity to return to a level of freedom experienced prior to the offense. Whether through application of programs like ARD, treatment courts like Veteran’s Court or Mental Health Court, or even outright dismissal of charges on payment of restitution (Rule 586), there are a wide variety of disposition options available to consider. 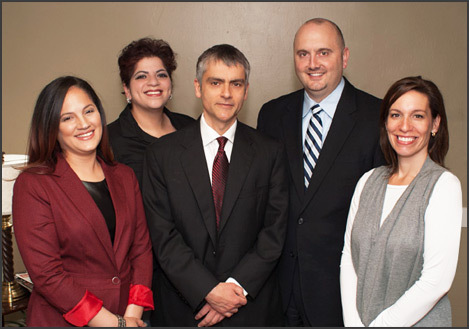 An experienced, aggressive attorney like the team at Miller Lyden P.C., can help you navigate through the many options available to you–whether at trial or in reaching a negotiated plea. Some property crimes are not so easily addressed due to their nature and these require special care and consideration through the criminal court process. Among these serious property offenses are Burglary, Criminal Trespass and thefts involving a motor vehicle. The crime of Burglary is the most serious of the property crimes in that it involves the entering a building of a victim with the intent to commit a crime inside. 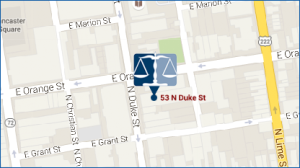 This single charge is the most vigorously prosecuted offense by our chief prosecutor in Lancaster County because it often involves a violation of a person’s most sacred possession–their home. Burglary as defined by Pennsylvania Criminal Code § 3502 makes it a crime to enter a building or occupied structure, with intent to commit a crime therein, unless the premises are at the time open to the public or the actor is licensed or privileged to enter. Grading of the Burglary and the ultimate sentence disposition vary greatly depending on whether the building was a residence versus a business and more importantly whether it was occupied or not at the time of the offense. Sentences often involve jail time, a hefty fine and restitution for the property taken from the victim. A Burglary conviction may also prevent an accused from gaining employment or keeping your job. If you or a loved one has been accused of Burglary it is extremely important that you contact an experienced criminal defense attorney who can help you address the issues you face and aggressively pursue your defense after considering all the options available to you and your family. Like Burglary, Criminal Trespass involves the entry of the property of another without permission, however this charge lacks the intent to commit a further crime once inside. Criminal Trespass as defined by Pennsylvania Criminal Code § 3503 makes it a crime to break into, enter by subterfuge, or surreptitiously remain in any building of another without permission. While often graded as a felony initially, these crimes can be reduced to misdemeanors under the proper circumstances. If an accused is charged with Criminal Trespass a knowledgeable criminal defense attorney will consider the defenses available and negotiate a proper disposition. Eliminating an exposure to jail time and reducing a charge from a felony to a misdemeanor is as important to you as it is to us. Give us a call and let us start working on your case today. Whether the charge involves an accused embezzling thousands of dollars from an employer, stealing a car, or even a minor retail theft; theft offenses are the most common offenses that can have a devastating impact on your life. If convicted, an accused can lose their employment, be denied new employment, student loans or financial aid, and even face future denial from college or graduate school admission. For individuals possessing a professional license like a teacher, nurse, etc., these consequences are irreparable and last a lifetime. If you have been charged with any type of theft, from shoplifting to credit card fraud to bank robbery, you should seek the assistance of an experienced criminal defense attorney as soon as possible. No matter the cause of the offense we have numerous ways to fight or reduce the charges you are facing. We can look to negotiate the charges down to a lesser offense or have them withdrawn, especially when a deal can be reached that involves restitution – paying the victim back over a period of time. We have the experience in dealing with these matters to be sure that you are provided the best possible opportunity to be sure that this mistake does not follow you for the rest of your life!